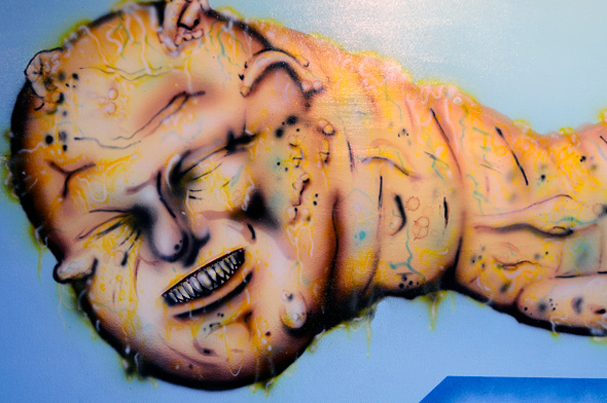 In their most recent effort to extend the spindly arms of bureaucracy to every conceivable aspect of the city while simultaneously proving just how out of touch they are, Toronto’s City Council will call a meeting of the newly formed “Graffiti Panel” (…seriously) to discuss whether certain murals will be allowed to remain on the private property on which they were painted. If it is deemed that the works in question are cases of vandalism and not art, they will promptly be painted over. The fact that the graffiti in question is on buildings whose owners either commissioned or entirely appreciate the work on their walls seems to be of little to no consequence for the Panel, who will debate the aesthetic value of the pieces in a meeting on November 2. Click here for an article by the Torontoist and to see photos of the pieces in question. This entry was posted in Case Study and tagged arianna perricone, graffiti, toronto city council by Arianna. Bookmark the permalink.